Decanter Man of the Year 2015. Wine drinkers can be a bit like race-horse followers. When betting, the race horse fan may follow the form, may follow the trainer, maybe the jockey, maybe a combination. Wine drinkers too have their favourite region, a favourite grape, and sometimes a favourite wine-maker. Quite a few these days are following ace Spanish winemaker Alvaro Palacios (quite a few of his wines are imported by Classic Drinks). 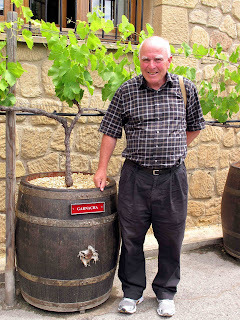 “Alvaro has great affection for his vineyards and a relationship with the wines and the soil. That is where his passion lies. 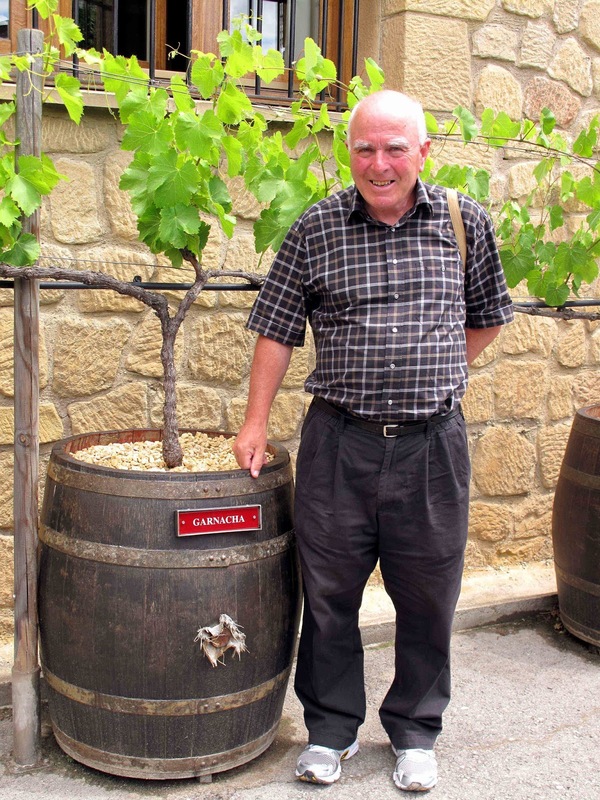 His great joy comes from growing old vines and maximising their ability and expression”, according to Ana Fabiano in Rioja, a recommended book on the region. In the hilly vineyards of Priorat, he made his name with L’Ermita, “widely considered to be the most important Spanish wine of the modern era”. Made some money too with it: this will cost you a four figure sum! Not bad going for the seventh son of a family of nine. Fortunately for us, his Camins del Priorat and a few others are much more affordable, as are the majority of his Rioja wines, including the gorgeous pair below, so different to any Rioja red I’ve tasted before. Every now and then, a wine comes along and makes your tastebuds sit up and notice, makes you sit up and notice. That’s what happened when I was introduced to this amazing opulent blend of Tempranillo and Garnacha from the far eastern corner of Rioja. The unusual element here is that there’s 50% Garnacha in the mix. Here too, in the area around the town of Alfaro, is where the first Rioja grapes are harvested each year. Ruby is the colour of the Vendemia, perhaps a shade darker than most of the other young Riojas I’ve come across the past few weeks. There is rich mix in the aromas, fruit (cherry, plum), mineral, even herbal notes, also hints of vanilla. A soft mouthfeel, the wine is pleasant and full of fruit, no shortage of acidity, fine tannins, some spice too and a good finish as well. Very Highly Recommended and leaves me looking forward to their crianza. Stockists: Ardkeen Quality Food Store, Co. Waterford. Carpenters Off Licence, Castleknock, Co. Dublin. The Corkscrew Off Licence, Co. Dublin. Jus de Vine, Co. Dublin. Matson's Wine Store Grange & Bandon, Co. Cork. The Parting Glass, Co. Wicklow. Named after the hill side slope (1800 feet) on which the fruit is grown, this unfiltered blend of Garnacha (70%), Tempranillo (25%) and Mazuelo (5%), is another gem from the Alfaro region of eastern Rioja, “a wine that invites you to enjoy life” according to the winemaker. Ruby is the colour and there is a complex aromatic mix of fruit (cherry) and floral elements. With rounded fruit flavours and an immediately compatible mouthfeel, it flows smoothly across the palate, great finesse and elegance enthral and all before a stunning finish from a terrific wine produced from a year of “austere weather conditions”. 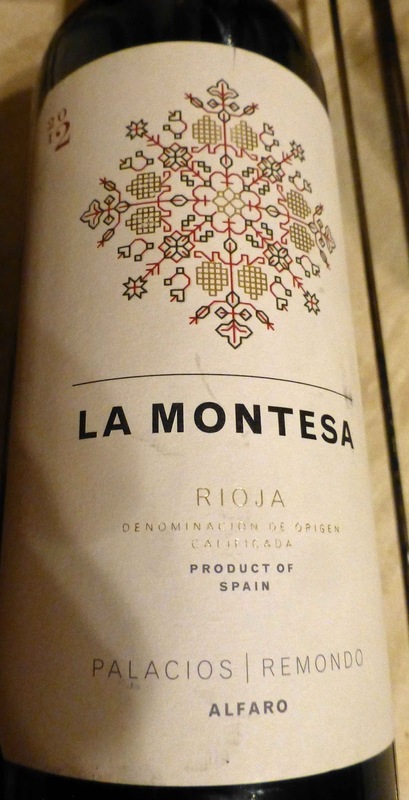 Just looking here at the winemaker’s notes and would have to agree: Perfect by-the-glass on its own or when paired with flavourful cuisine, La Montesa is a welcoming wine from Rioja that is sure to please both the novice and the true wine connoisseur alike. Very Highly Recommended. Lets hope Alvaro's love-affair with Garnacha continues. Recent Rioja posts: Rioja Rocks and also Rioja whites.